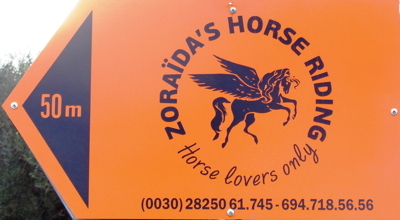 Zoraida's Horse Riding is no longer located in the hills of Georgioupolis, but has moved to Kavros on the way to the lake of Kournas!!!!!!! Please check the GPS-coordinates carefully!!!! 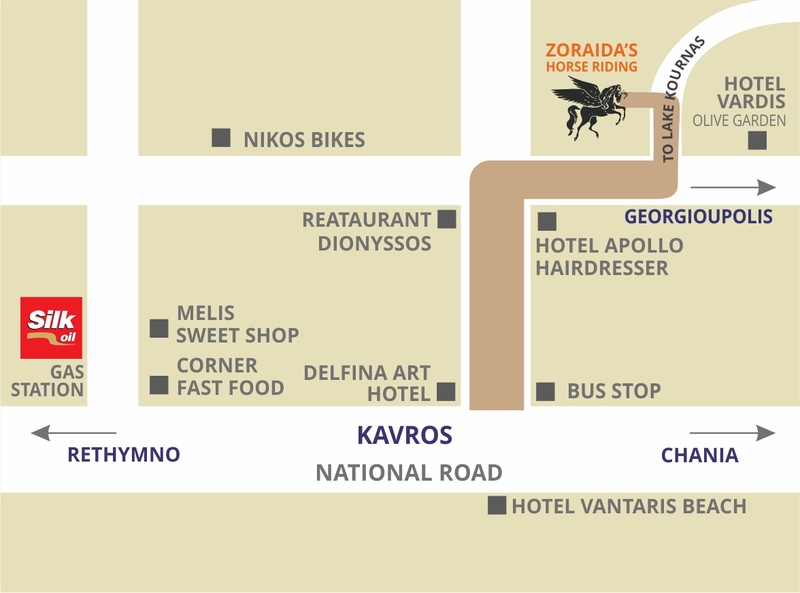 Kavros is located 4 km from Georgioupolis, 20 km from Rethymnon and 45 km from Chania. Take the national road towards Chania. After a 20 to 25 minute drive you will find a BP gas station on your left and lots of big hotels along the sea side. Carefully turn left at turn left at Vantaris Beach Hotel (wooden bus stop on your left and a bamboo-built place called CORAL)). At the end of this street turn right at the hairdresser. Then take the first asphalted/tarmac road to the left (direction Lake Kournas) and follow the signs from there. 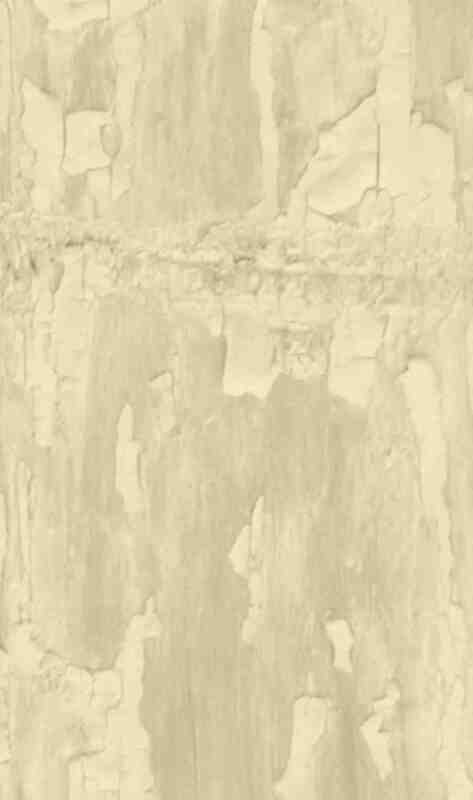 If you should have any problems finding us, please feel free to call me on 694.718.56.56. Take the national road towards Rethymnon. Pass the village of Georgioupolis remaining on the national road. You will pass the newly built Anemos Grand Luxury Resort on your right. Turn right at the bamboo-built place called CORAL. At the end of this street turn right at the hairdresser. Then take the first asphalted/tarmac road to the left (direction Lake Kournas) and follow the signs from there on.